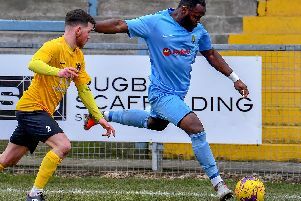 Rugby Town lost 4-3 at home to Eynesbury Rovers on Saturday - having been two goals up within 20 minutes, thanks to strikes from Simeon Tulloch and Charlie Evans. Their visitors then came back with three goals, to lead 3-2 at half time. Rugby Town managed to level through Eli Bako on his debut, just after the hour mark. 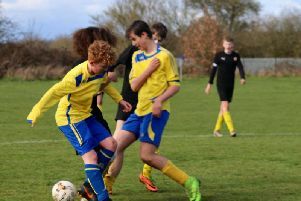 The game looked to be heading for a draw, but Eynesbury - on their first visit to Rugby since 1974 - scored the winner with a last-minute penalty. The defeat is a huge dent in Valley's title ambitions, missing the chance to close the gap on leaders Daventry, who could only draw 2-2 with 14th-placed Sleaford Town, who will be Rugby Town's hosts next weekend. Rugby have now dropped to third in the UCL Premier Division on 70 points, with Deeping Rangers (who won 3-1 at bottom club Wellingborough Whitworth) now second on 72. Both clubs have a game in hand over leaders Daventry on 81 points.